For a trouble-free move to San Bruno, Meathead Movers is the company for you! Our professionally trained student-athlete movers are ready to get you into your new San Bruno home. Welcome to Meathead Movers of San Bruno! If you are moving to or from anywhere in San Bruno, we are the moving company for you! Our professionally trained student-athlete movers and our moving concierge service are here to help you with every stage of your move in San Bruno. Located between South San Francisco and Millbrae, San Bruno is strategically located in the Bay Area. Its proximity to San Francisco makes it a great place for people to commute to the big city. Today San Bruno is famous for being an airport city since the city is adjacent to San Francisco International Airport. Not only is the city well connected to the bay area, San Bruno is also well connected to the world with its airport! 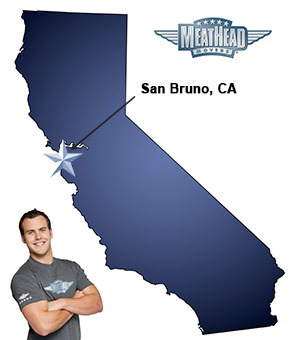 If you are considering a move to San Bruno, Meathead Movers is here to help! Our moving company specializes in local, long-distance, and commercial moves to, from, and within San Bruno. We also provide reliable packing, storage, on-site relocations, and our distinctive moving concierge service, which connects you with local service providers. All our student-athlete movers are thoroughly screened and trained before their first move. With branches not just in San Bruno, but all throughout California, we are your one-stop resource for all your moving needs, no matter where your California move takes you. In fact, you can see what your neighbors in San Bruno have to say about us. With our 100% satisfaction guarantee, the only thing you have to lose is the stress that comes from moving! So contact us today for a free no-obligation moving quote and to learn how we can help you on your next move! Moving to San Bruno? Here are some helpful resources. “In a world that has grown a little too cold and oftentimes self-absorbed, it is lovely to align with people that genuinely care AND still perform an AWESOME task. Thank you! You came highly recommended and I will definitely pass our great experience along. I have heard that you take the time to help women in need, and I think that is wonderful. Good for you! I have found that, in life, the more I give the more I receive. I pray that will be true for you and your company. View more San Bruno resources.